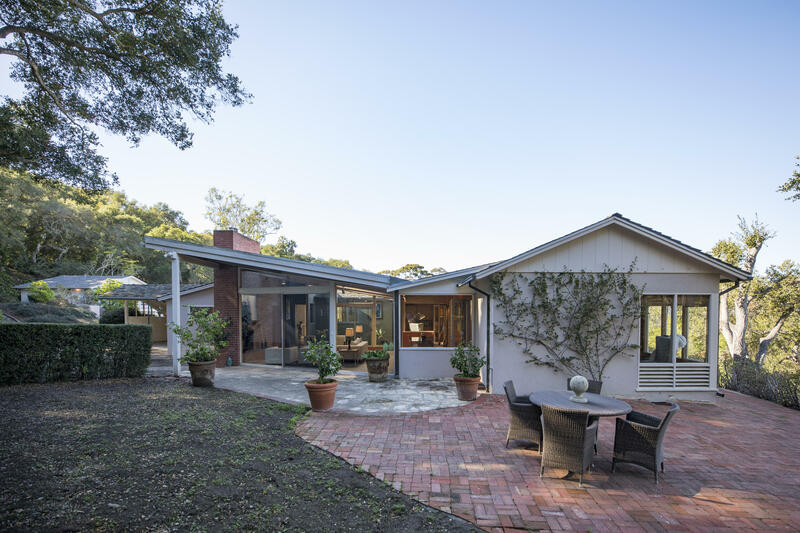 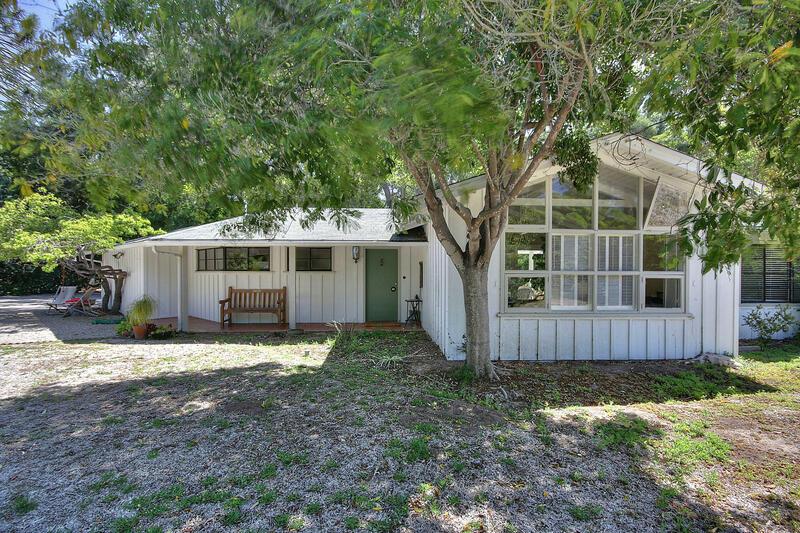 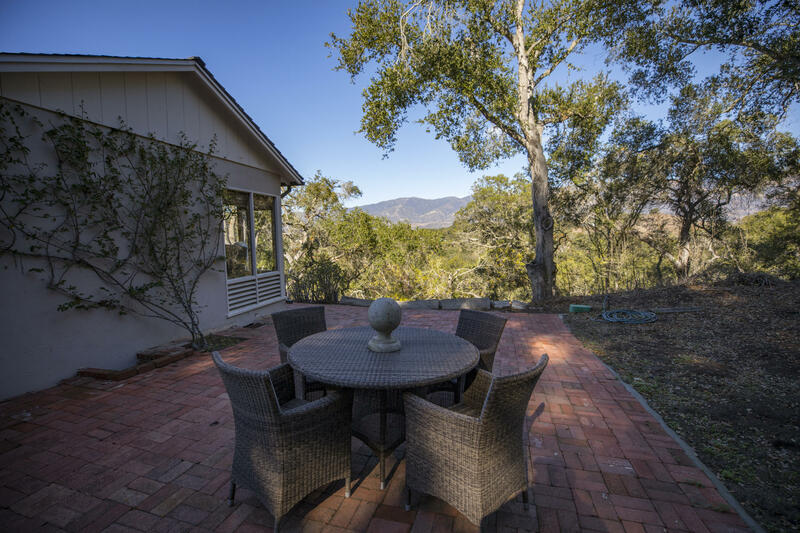 Hope Ranch Mid-Century Escape At the top of a winding drive lined with California Oaks, a romantic, early California modern residence and guest cottage await discovery. 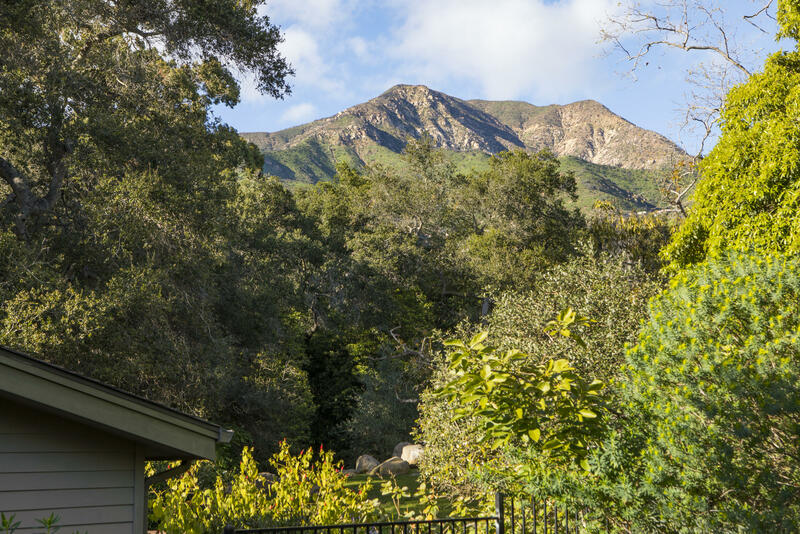 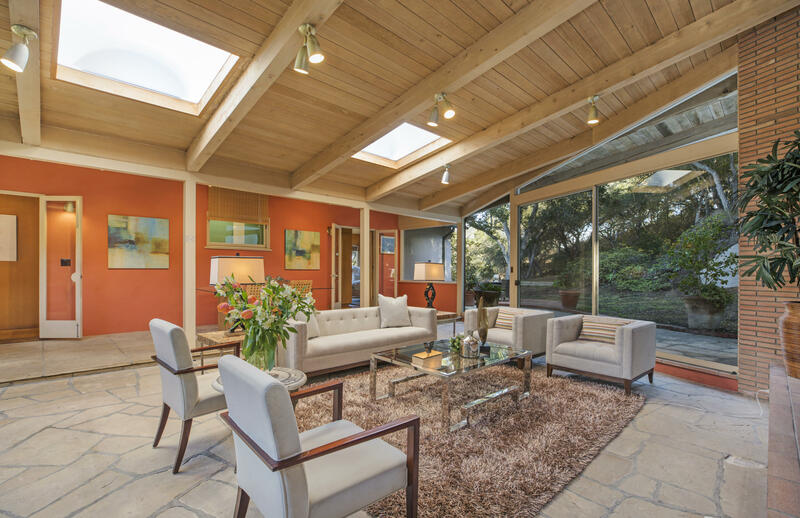 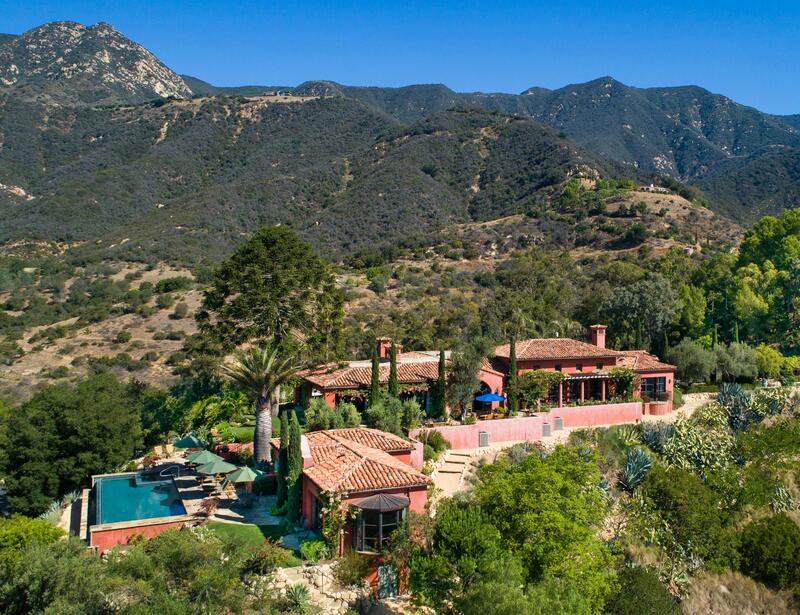 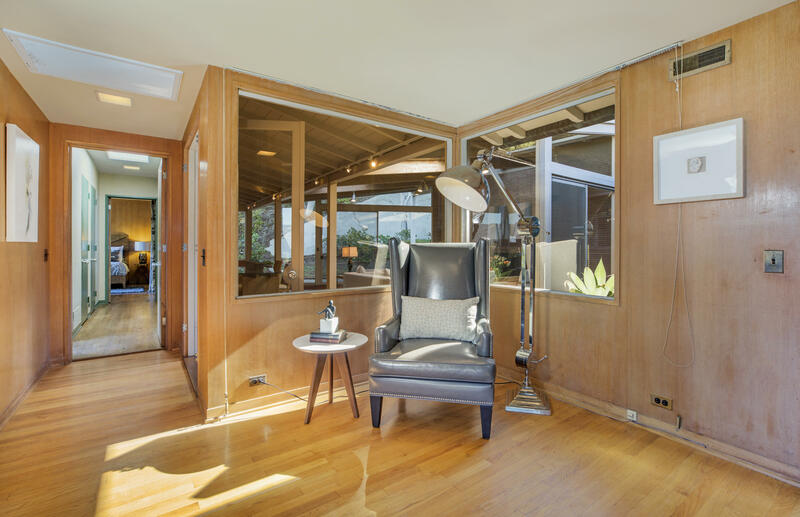 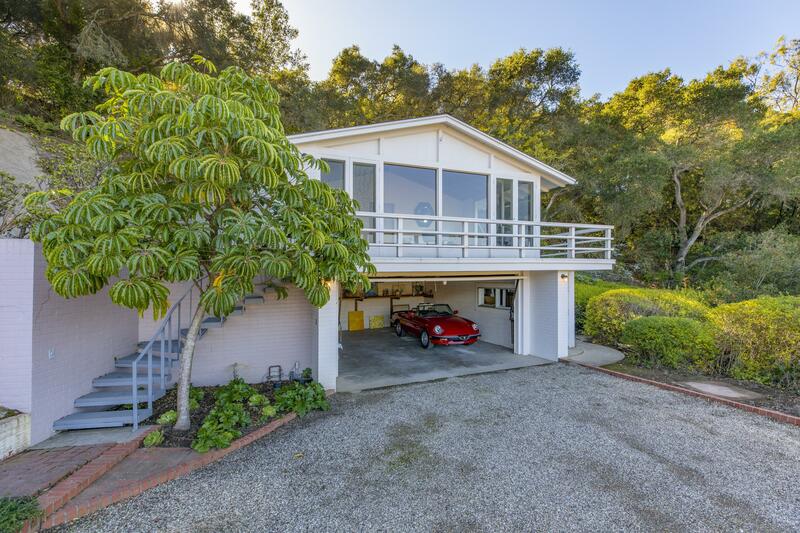 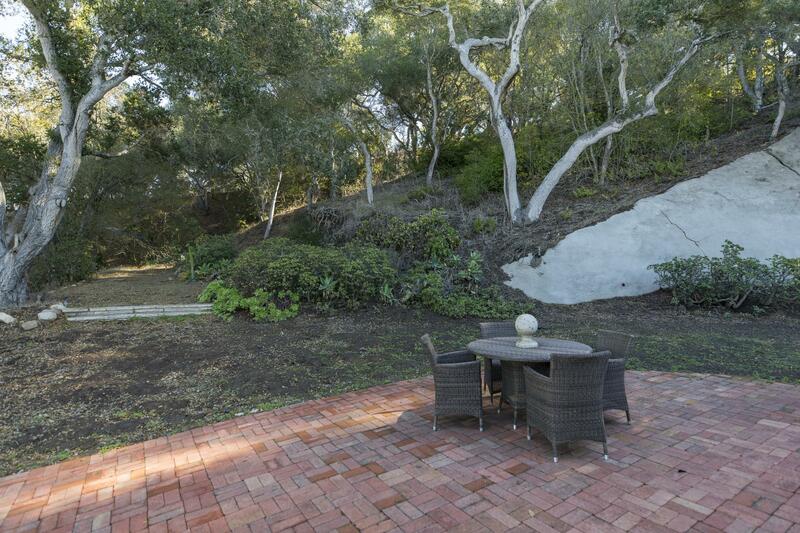 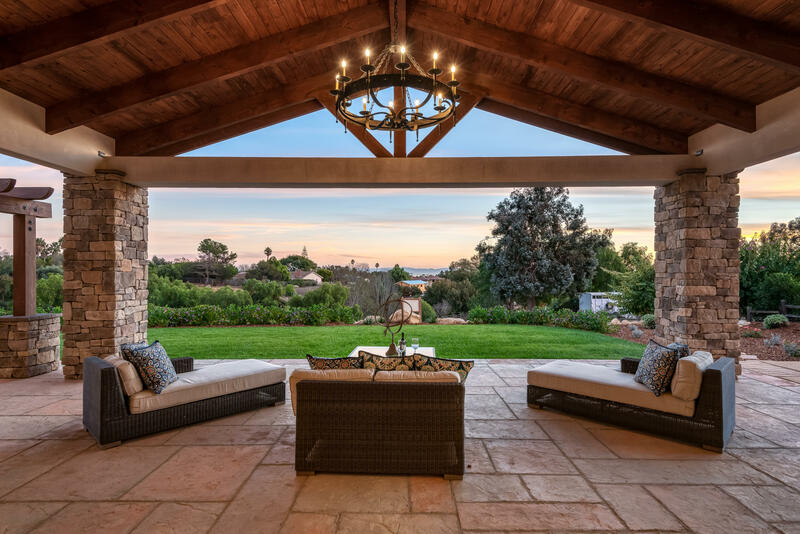 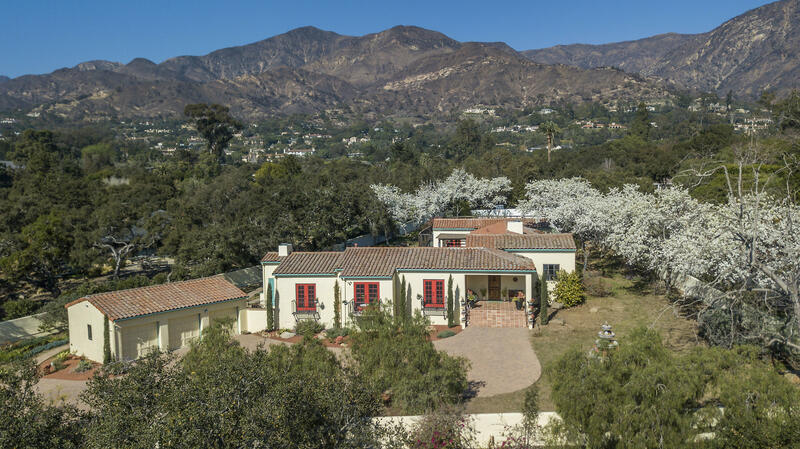 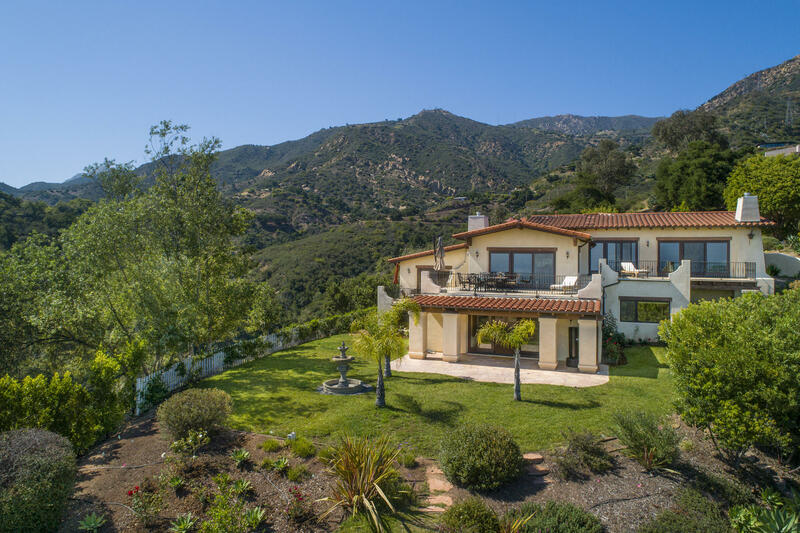 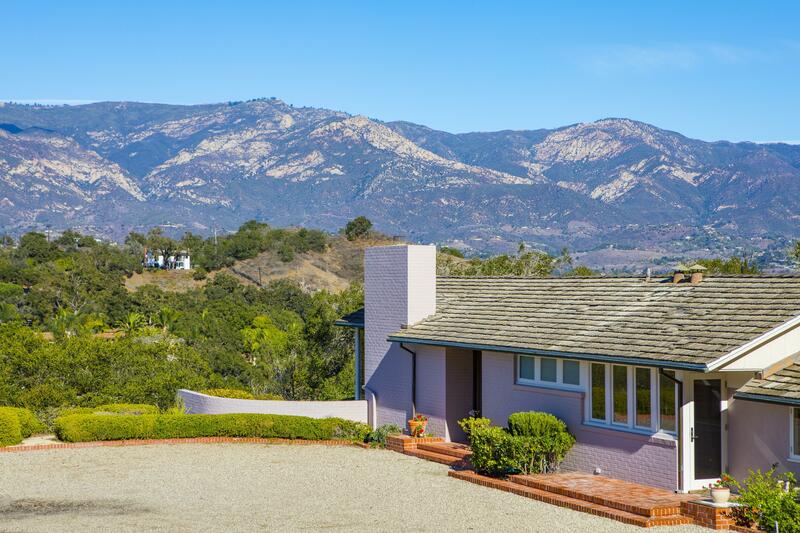 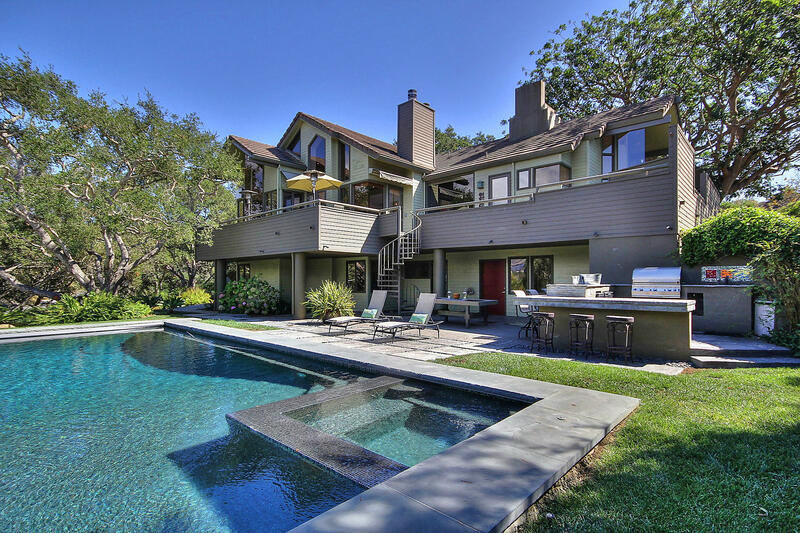 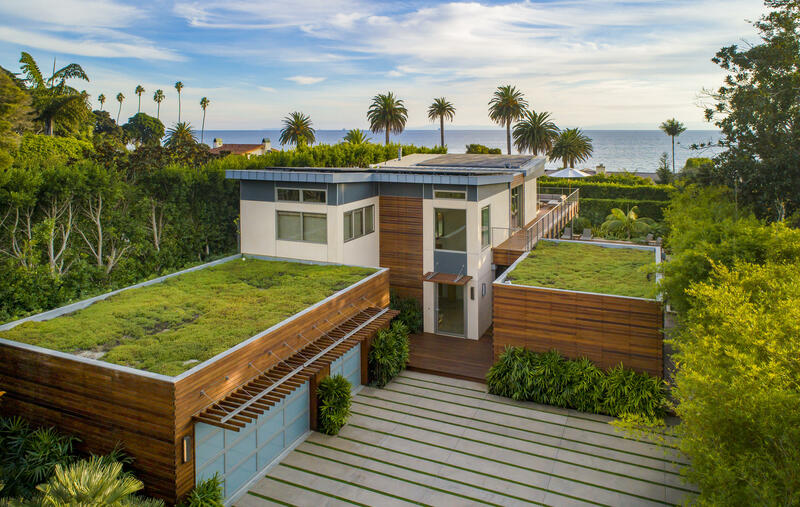 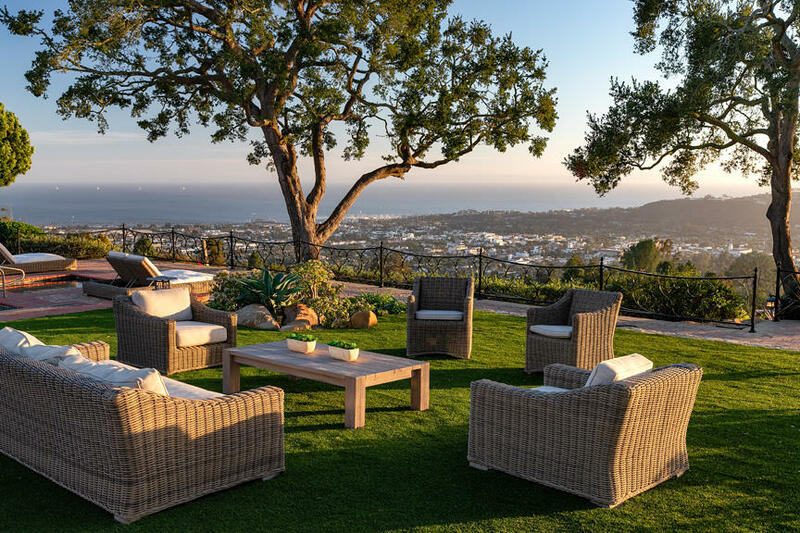 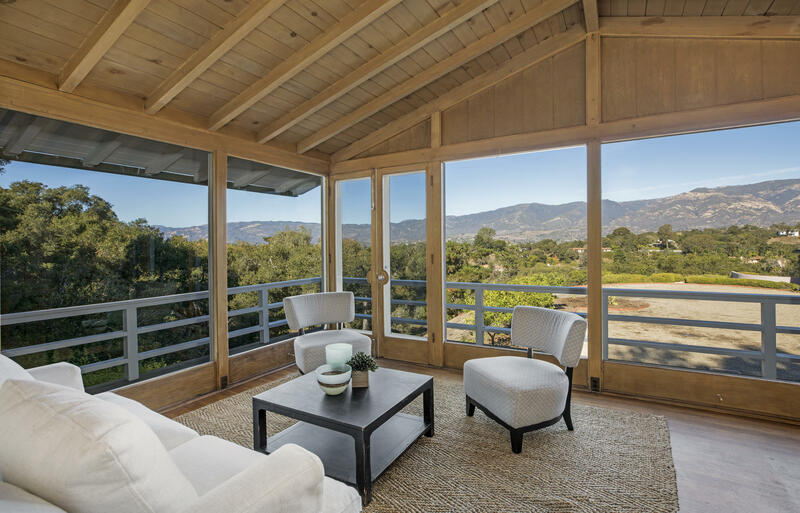 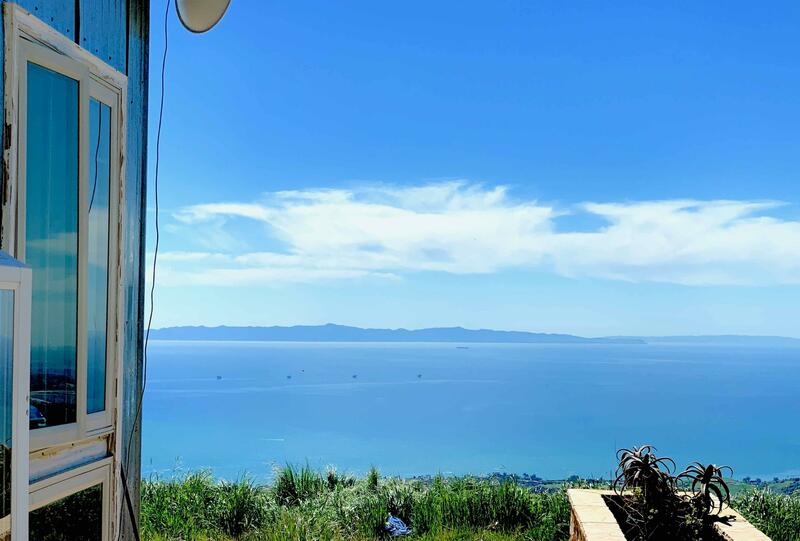 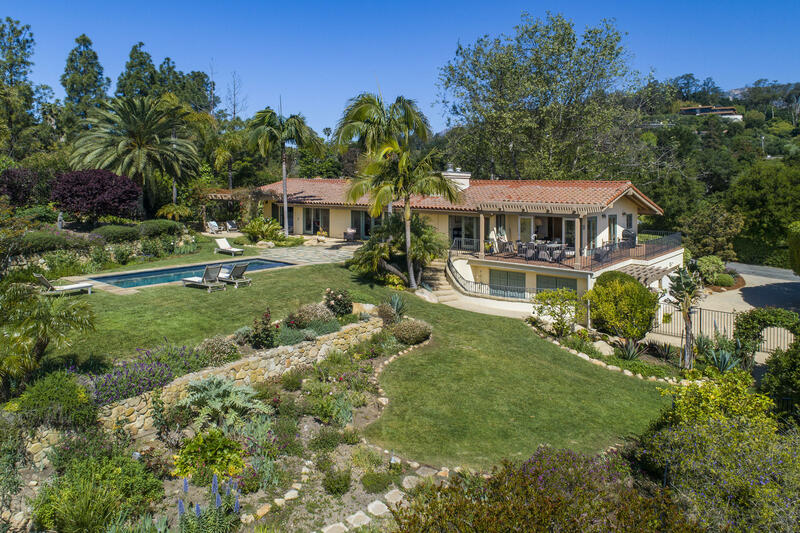 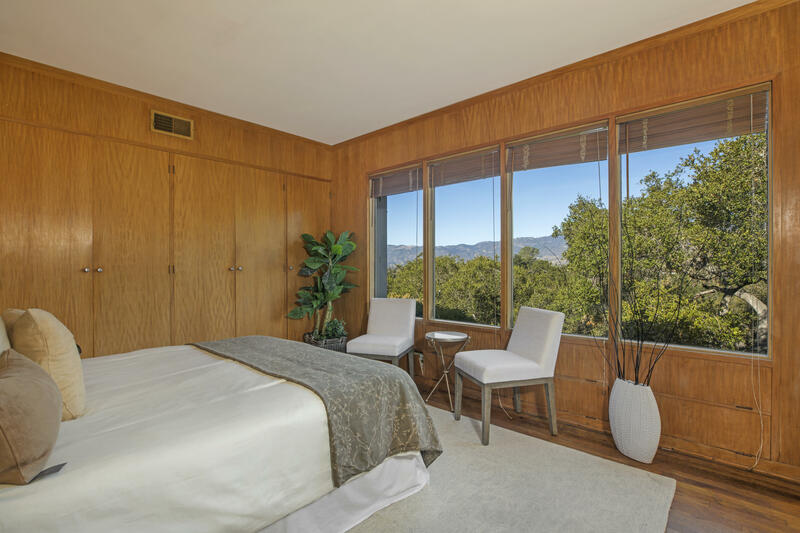 Designed by renowned local architect Chester Carjola in 1947, this property offers an abundance of expansive views of Santa Barbara to be enjoyed in complete privacy while less than a five minutes' drive to major shopping and entertainment venues. 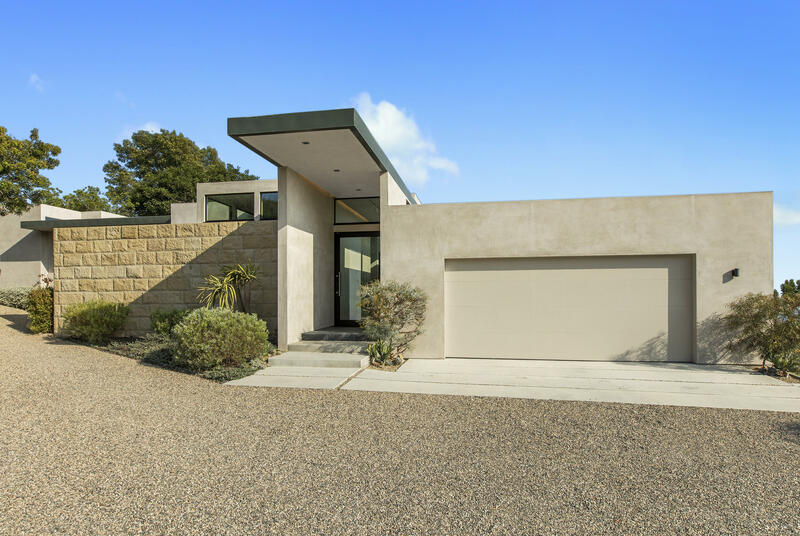 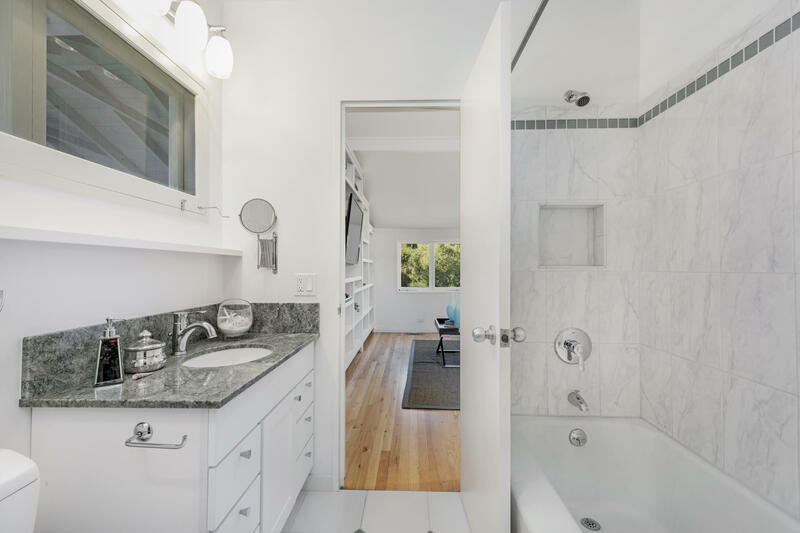 This custom designed home offers sleek lines reminiscent of a luxury ocean liner as well as large view windows and doors which bring the outdoors in. 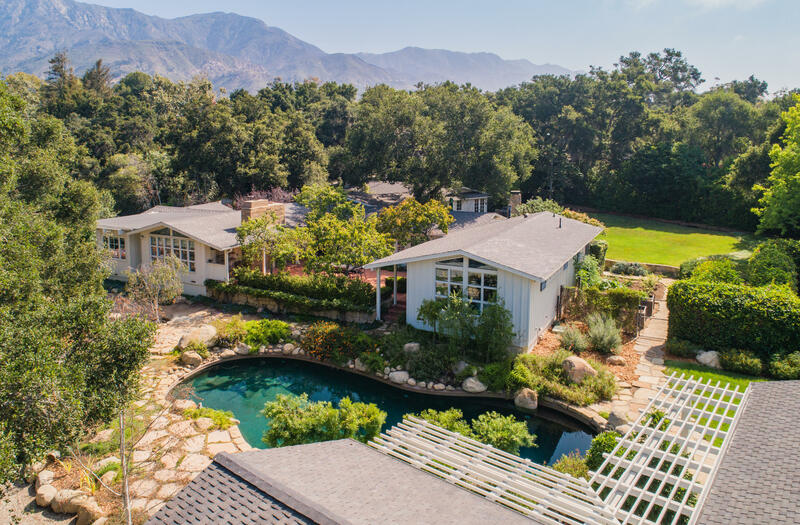 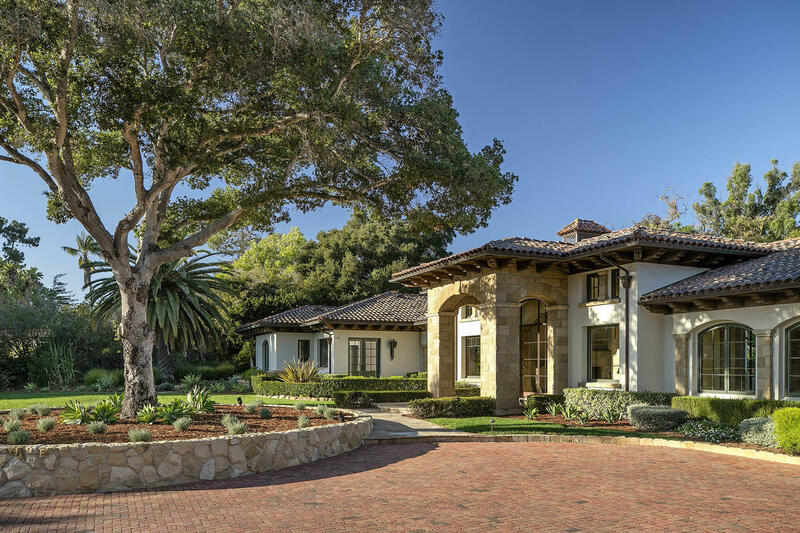 The original plans for the grounds, designed by famed landscape architect Lockwood de Forest, offer the right owner an opportunity to bring to life the very best of old Santa Barbara. 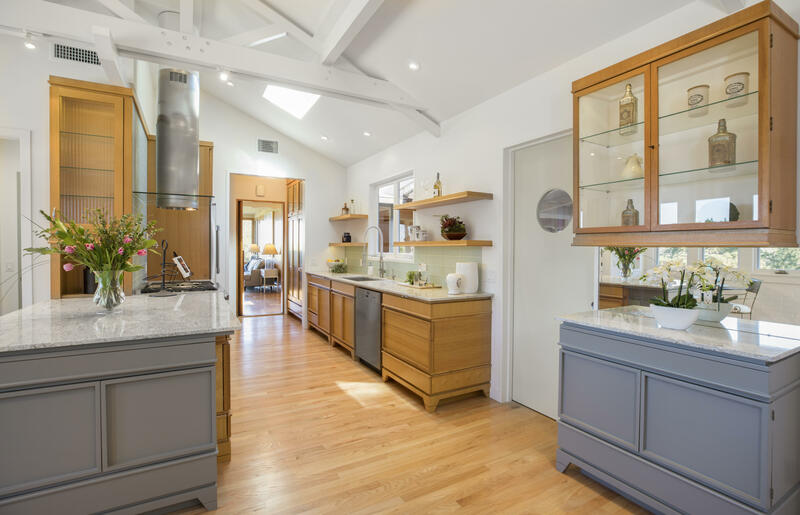 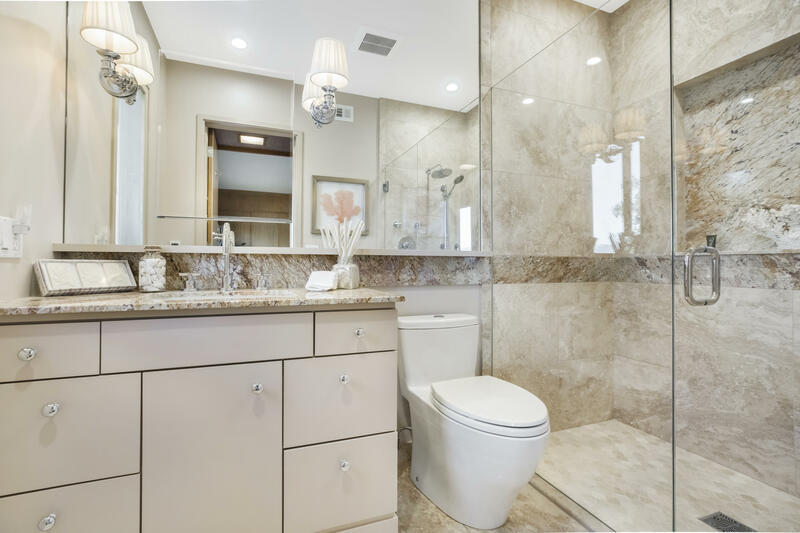 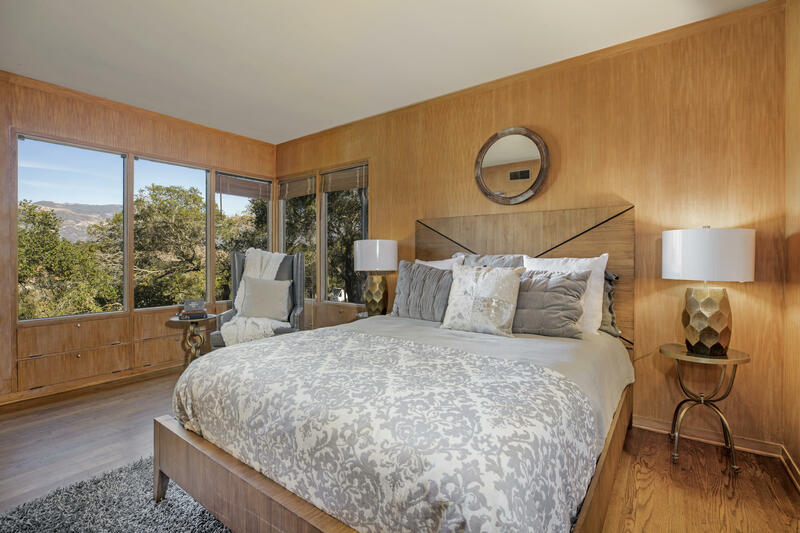 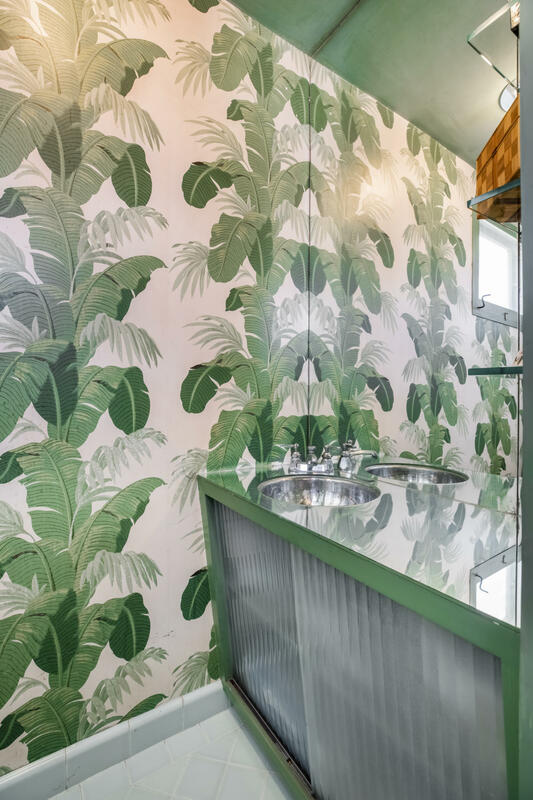 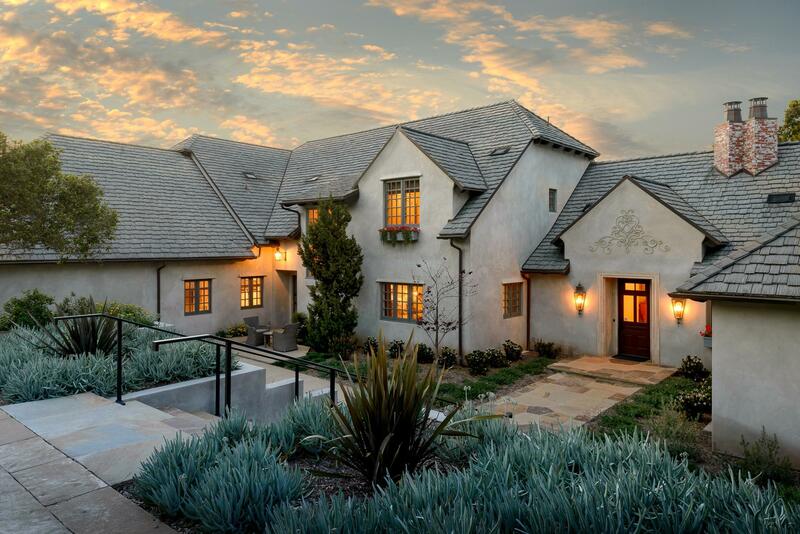 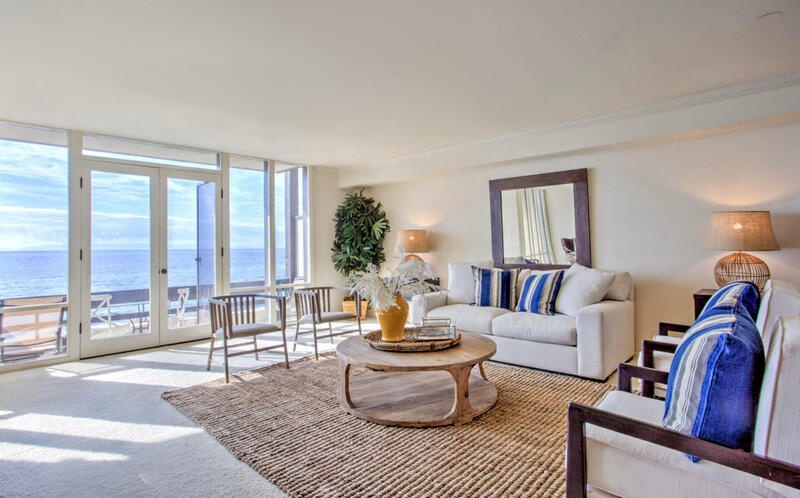 Features of the property include the main residence consisting of two bedroom suites, a third bedroom or office plus bath, and a powder room that hearkens back to the very best of old school Hollywood glamor. 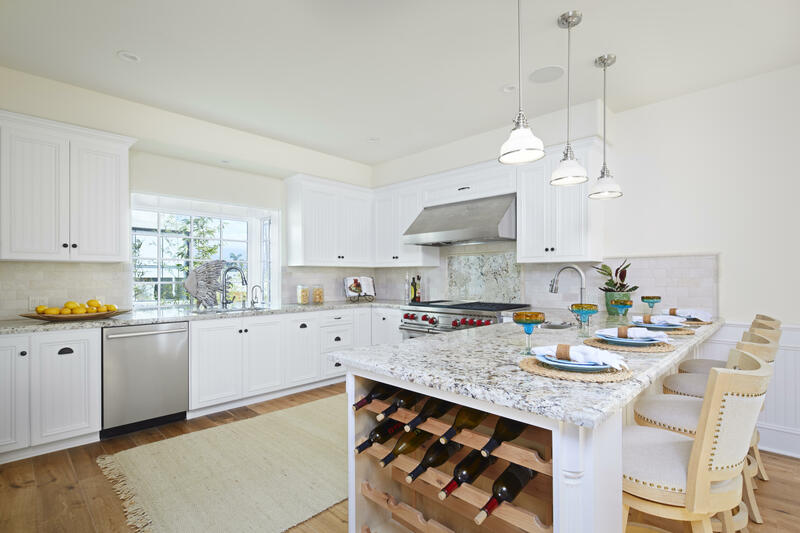 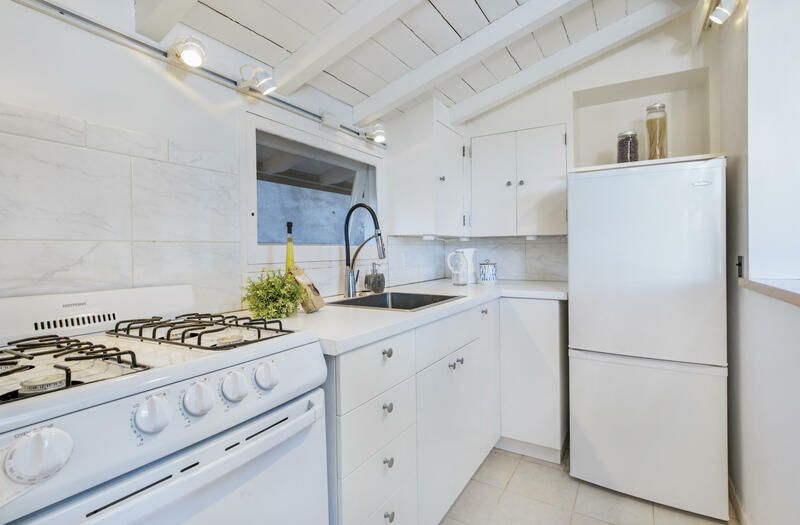 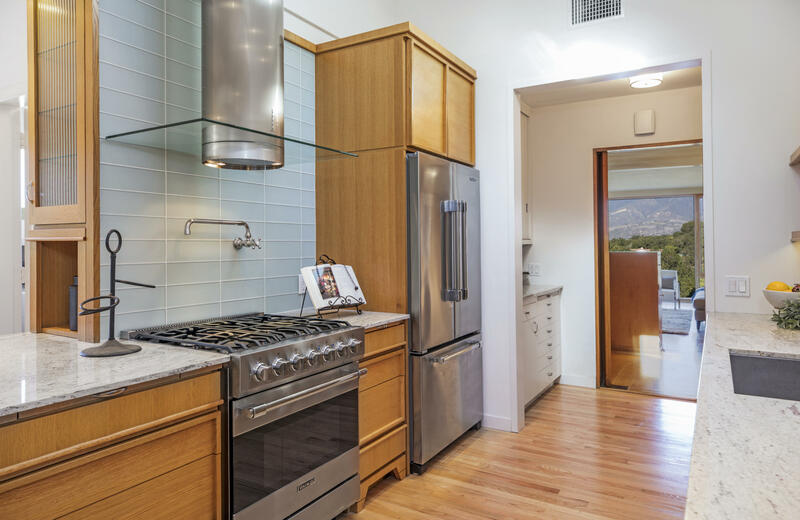 The kitchen has been expanded and modernized with quality and attention to detail, including custom cabinetry and Viking Appliances. 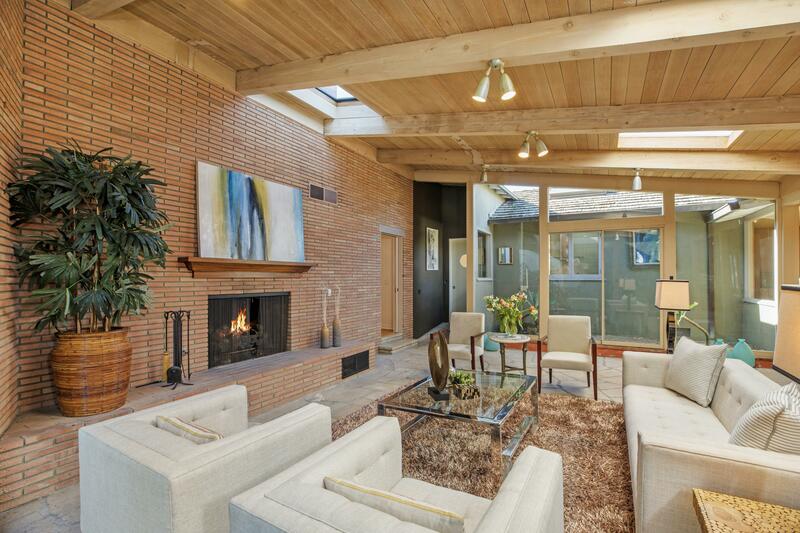 The great room features a large fireplace, high ceilings, and glass doors to the rear yard. 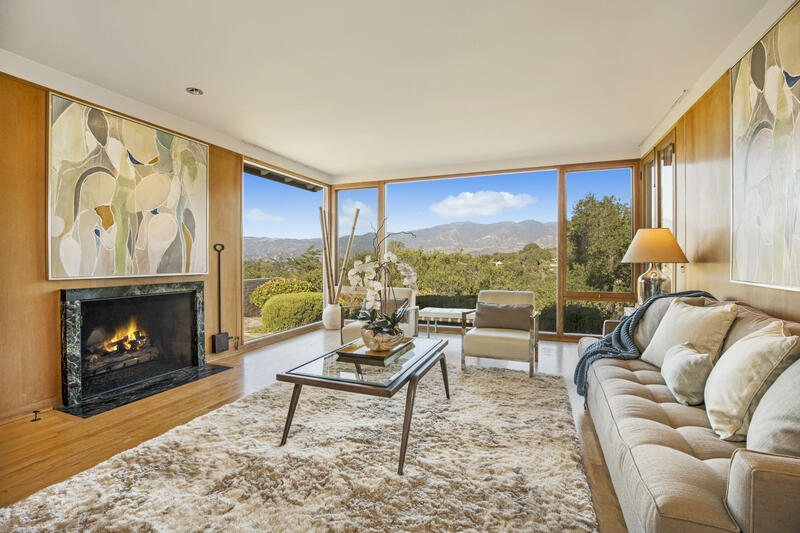 The formal living room with fireplace has endless mountain views, and with the nearby wet bar, completes the space for utter relaxing. 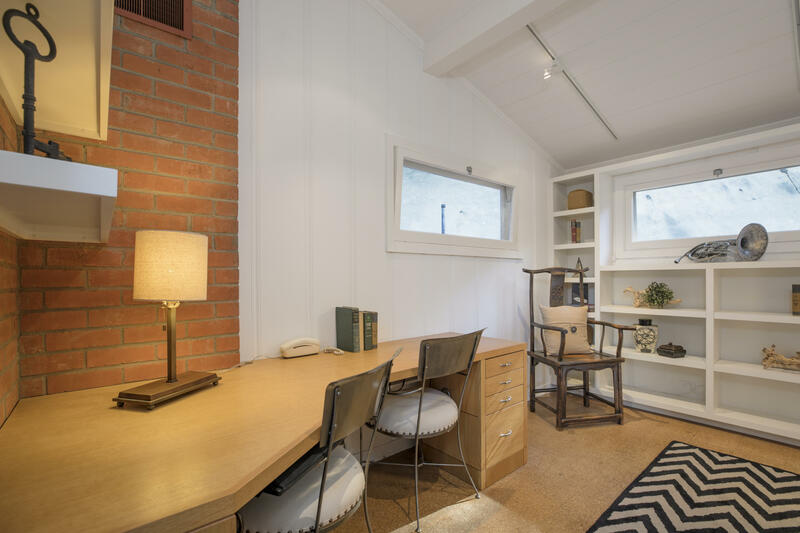 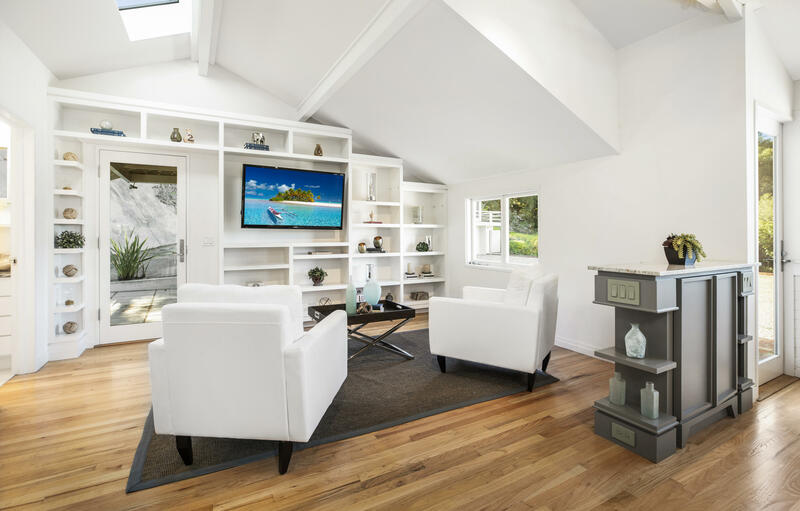 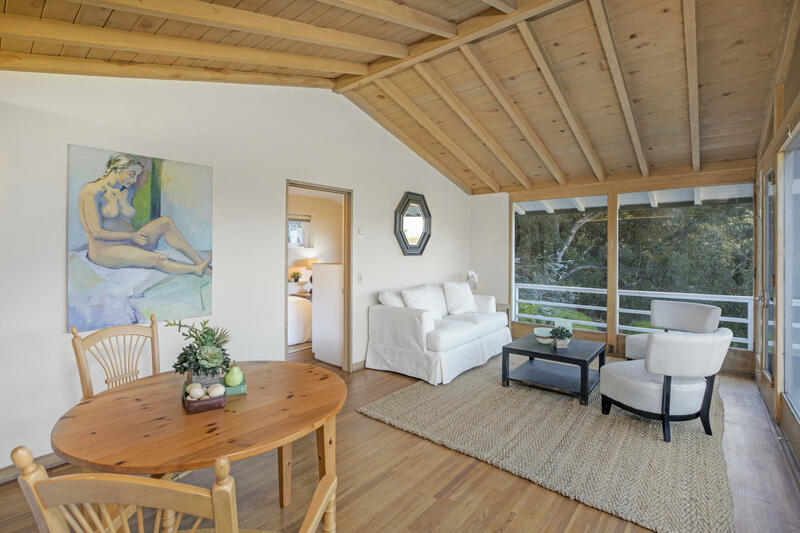 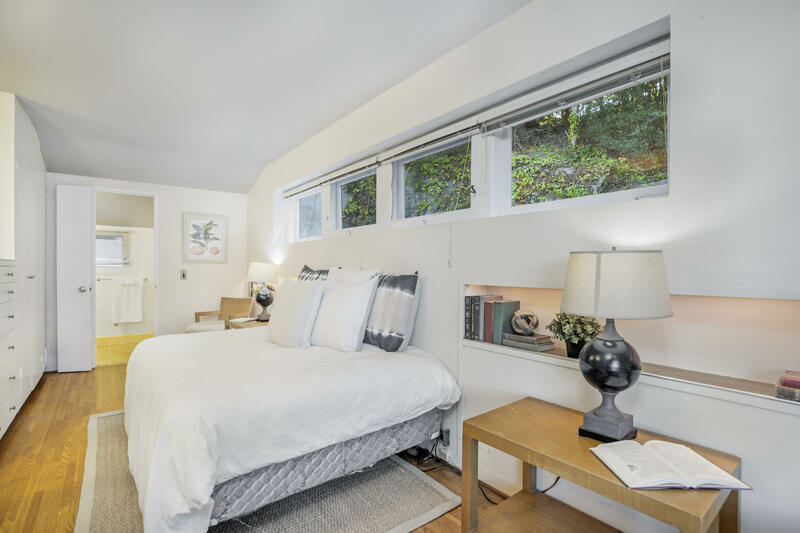 A detached one-bedroom guest cottage includes a totally glassed in living room, making you feel that you are living in a private jewel box with forever viewsâ€”the perfect escape office or retreat.